How many of us can raise our hands and say you give everything you have? And if you don’t, can’t or won’t…why not? I don’t know. I only know about me. I know I try, but many times I miss the mark. What does that mean? Miss the mark? The bible says we fall short. 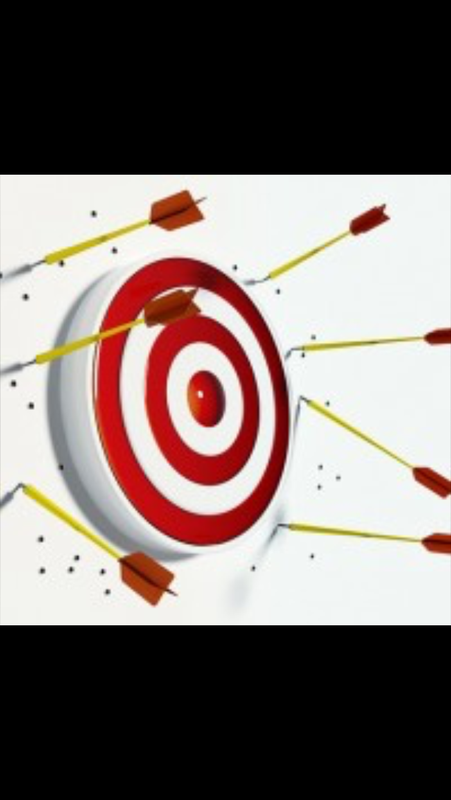 A “sin” in archery just means you missed the mark. You didn’t get the bullseye. But to sin or fall short or miss the mark we have to first at least try. I mean how can we be missing the mark if we’re not shooting off arrows? Sure, they may be errant. But at least we’re trying. Right? We are trying aren’t we? Ok. We are trying. We might aim well but we get distracted. Or worse our vision is clouded. But still, we pull another arrow from the quiver and aim tight again. Hoping to hit a bullseye. Hoping to hit the mark. In my own personal journey everyday I aim to be a good, loyal, helpful and encouraging wife, mother, daughter, author, worker and friend. And sometimes I actually make a bullseye. But most of the time, I miss the mark. I want to give my everything. To everyone. To everything. Be it my husband, family, healthy lifestyle attempts, writing, work or whatever. But distractions and clouded vision get in my way. Heck! “I” get in my own way! So I keep aiming and improving my skill. Refocus and go at it again.